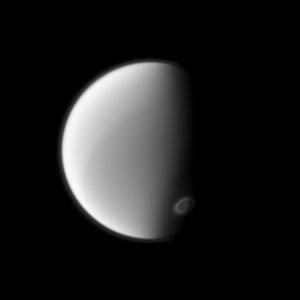 Titan, one of the moons of Saturn, is probably one of the most interesting moons in the solar system. It has a developed atmosphere, and is generally a cool place to look at. Visiting it might be a very bad idea, because Cassini recently helped scientist study a massive cloud on Titan made of cyanide. 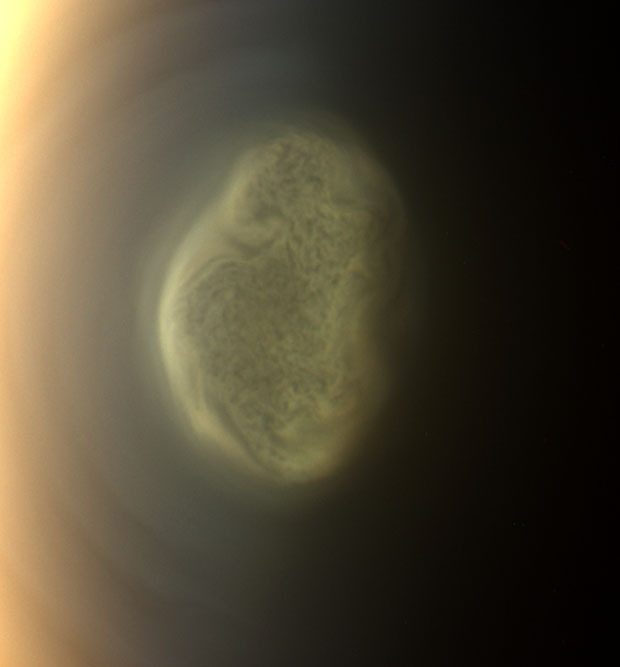 This spinning cloud of death covers Titan’s southern pole and is about the size of Egypt (about 1-million square kilometers or 385,000 square miles). These clouds exist at very high altitudes, at about 300 km (180 mi). The fact that this cloud exists suggests that temperatures in Titan’s upper atmosphere are much colder than scientists previously thought, because the cloud can’t form at the warmer temperatures that are predicted. In 2012, the images from Cassini were able to help scientists see the cloud and determine that it was very high, but couldn’t actually help researchers figure out what it was made of. Two years after the initial discovery, and the analysis of tons of data, scientists have been able to learn that the cloud was made of cyanide; more specifically, “ice particles of hydrogen cyanide.” This isn’t a very nice cloud to get caught in. For this cloud to form over Titan’s southern atmosphere, temperatures would have to be around -148 degrees C (-234 F), which is about 100 degrees C (180 F) colder than scientists originally predict. Because of this, some planetary scientists think that there might be some process at work in the southern hemisphere to allow the temperatures to drop so low. There is some type of “winter vortex” that must form. An example of a process like this would be the presence of some gas that reflects more sunlight away causing the atmosphere to be cooler in that region. Titan is really the only moon in the solar system to have clouds, a planetlike atmosphere, and seasons as we would describe them. 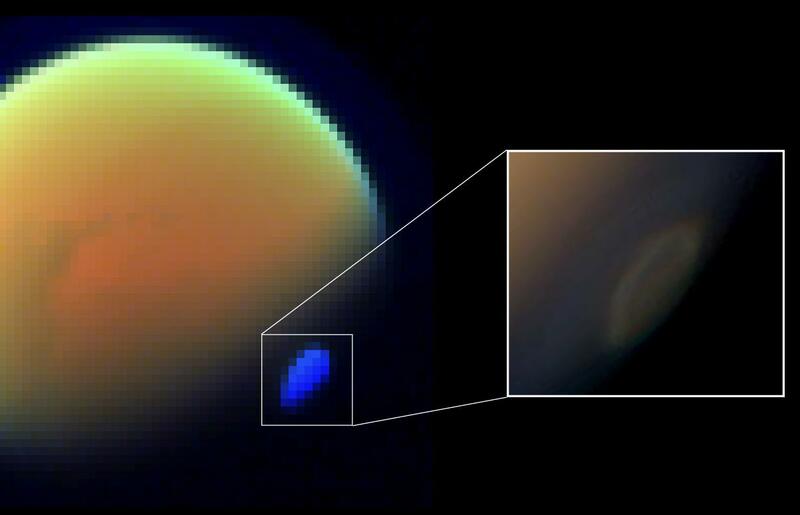 Titan’s atmosphere is comprised mostly of nitrogen and methane. Interestingly enough, according to our models, Titan’s atmosphere is probably pretty similar to Earths as it was before oxygen became a huge contributor to our air. Seasons on Titan last about 7 years. Cassini will take a peek at titan in 2015. One of the things the probe will look at is the cloud in an effort to help us understand the processes that formed it more.